The Swarovski CL Pocket Mountain 8x25 are foldable compact binoculars feature exceptional optical quality. 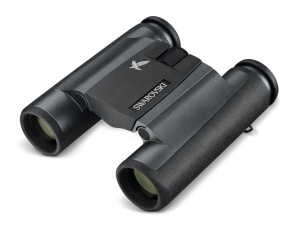 The new product design ties in appropriately with the “mountain” theme, with its black and anthracite colour scheme. An orange field bag and a carrying strap with a climbing rope look add the finishing touches to the Mountain package. 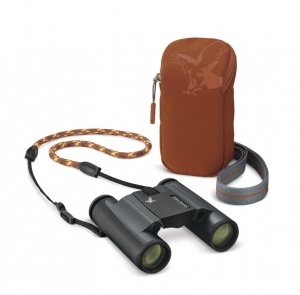 These are binoculars that are always with you, no matter what you’re doing. 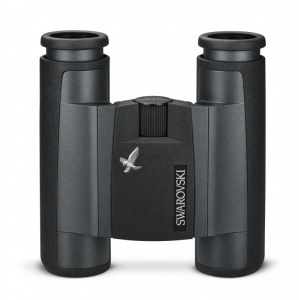 They are highly practical binoculars that promise absolutely unrestricted viewing comfort but compact binoculars that also offer outstanding optical quality and are simply brilliant.